The Hickory Stand-Up Patio Heater Cover from Classic Accessories is made from durable Weather10 material featuring a rugged fabric outer layer with a laminated waterproof and wipe-clean inside coating. The Weather Leather trim looks authentic but wont rot. Fits heaters up to 95 H x 34 Dia at dome x 18.5 Dia at base. 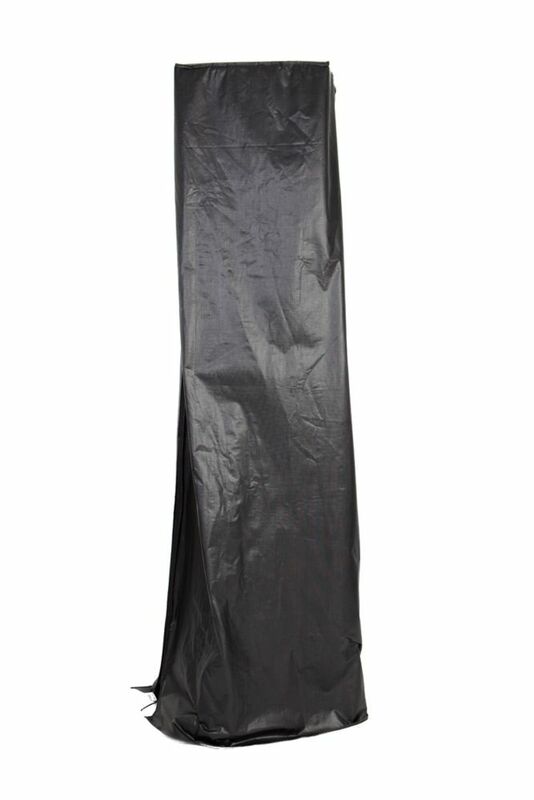 This Hampton Bay cover protects outdoor furniture from dust, dirt, sun, rain and heavy snow. The heavy duty Rip-Stop fabric is durable and will protect your patio furniture for years to come. With elastic and adjustable buckles on the bottom straps, these quickly secure to the furniture legs, so your cover stays on during windy days. This Hampton Bay cover protects outdoor furniture from dust, dirt, sun, rain and heavy snow. The heavy duty Rip-Stop fabric is durable and will protect your patio furniture for years to come. With elastic and adjustable buckles on the bottom straps, these quickly secure to the furniture legs, so your cover stays on during windy days. This cover fits up to 31.5 -inch L x 38.5 -inch W x 29 -inch H.
Outdoor Vinyl Flame Heater Cover Protect your investment. From Patio Heaters to Fire Pits, Paramount Vinyl Covers have you covered! These water resistant vinyl covers offer protection from the elements. For longest life, it is recommended to always store your outdoor heating units in a shed or garage during winter months when the units are not in use as some parts are more susceptible to damage due to extreme cold.